Mott MacDonald has recently been appointed by the UK Department for International Development (DFID) as Implementing Supplier for “Purnima: UK Support to Post Earthquake Recovery in Nepal Programme”. The Programme will provide support for post-earthquake recovery; delivery of reconstructed infrastructure; and a challenge fund to ensure that the poor and most vulnerable are not left behind. The Programme will operate across Gorkha, Dhading, Nuwakot and Rasuwa, with the main office in Kathmandu. The role of Administration Assistant will sit within the Operations & Finance Team, which is responsible for ensuring that all financial, operational and administrative aspects of the Project run effectively. 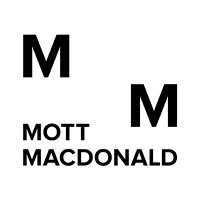 Day-to-day the Admin Assistant will be responsible for ensuring that activities are implemented in accordance with Mott MacDonald processes and procedures. Carry out general office duties as requested by the District Coordinator and Operations Manager. Maintain petty cash in district level, keep record and report to the finance team in Kathmandu. Provide support to the procurement activities at district level. Process invoices and follow up with clients, suppliers and partners as needed. Support the delivery arrangements of all goods including printed materials. Establish a good working relationship with local vendors, including the establishment of framework agreement for hotels, ICT equipment etc. Liaise with Sr. Admin officer and assist to maintain the Approved Supplier list for district level. Administer finances at workshops and other events, in accordance with Mott MacDonald Finance procedures, when required. Liaising with hotels, accommodation and other logistics providers. Assist in keeping record of the assets, maintain inventory and communicate with Kathmandu Administration for any changes. Keep a record of returnable equipment allocation at district level up-to-date and communicate on this with Kathmandu Administration. Assist Admin officer in preparing up-to-date assets list. Management and timely communication of local arrangement such as hotel booking, fleet management for field trip. Provide general administration and clerical support in district including scanning, mailing, photo copying, taking/editing and circulating the minutes. Assist in managing the communications (office phones, phone credit, internet, etc) at district level. Manage office arrangements as required for delivery of the programme. Provide support to Operations Manager and District Coordinator on local recruitment. Be proactive and responsive to performing any other duties and responsibilities as assigned by the Operations Manager or District Coordinator. Excellent written and spoken communication skills in English and Nepalese. Ability to draft processes and procedures in Nepalese and English.